We understand that in a growing business like drop shipping, you want to maximize time especially in editing your listings. In DSM, we have a feature that helps you to edit listings up to 500 listings like you’re editing just one. First, you need to go to Price Monitor page. Then, select listings you want to edit. You can either select all the listings shown in the current page by clicking the checkbox beside the word “Item” or just select specific listings that you want to edit. After selecting the items that you will edit, you will notice that on the top right corner of the page 2 buttons. The blue button is “Edit” while the red button is for “Delete”. Click the blue pen button to edit. Finally, a new window will appear. This window shows the things that you can edit in your listings. 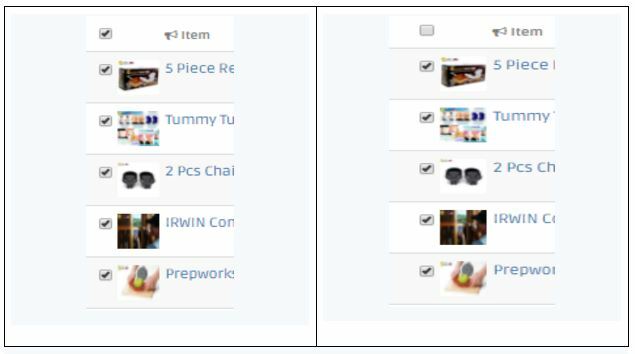 Change Quantity – This option will change the number of items available in the listings that you have selected. Change BE – “BE” stands for Break Even. Editing the value in this field will change how much is needed to raise the final price in order to cover all the fees. 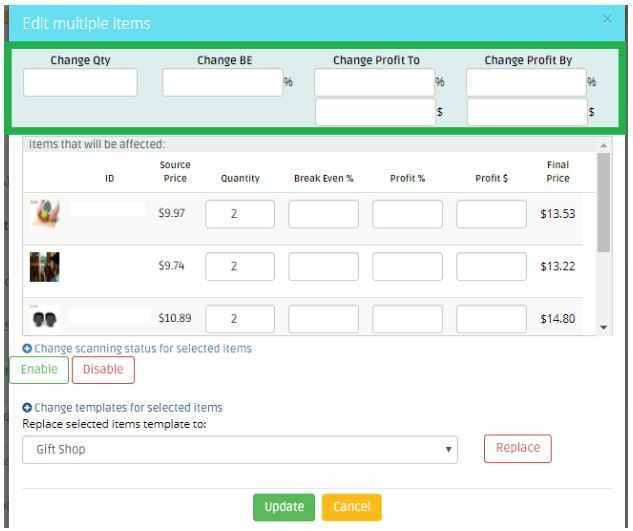 Change Profit By – It allows you to automatically add or reduce the amount or percentage of the profit by the value you set. For example, if you wish to set your profit by $2, it will add $2 to your existing profit. You can also disable the scan for multiple items, this is applicable for those dropshippers who uses their own supplier that they have an agreement with the seller on the price. Once done with the revisions, you have to click the “Update” button for the changes to take effect. This feature fits up to 500 items at once. You can also update more than 500 items at once. Click hereto learn how.